In an article published by The Star titled “Young, carefree and broke,” they revealed that young Malaysians are going bankrupt before they even hit 30. Youths aged between 25 to 44 constitute almost 60% of the 94,408 cases of bankruptcy reported since 2013, according to the Insolvency Department. And this is simply because they want to begin their lives. “Car loans took up 26.63%, personal loans 25.48%, housing loans 16.87%, and business loans 10.24%,” said the Director General, Datuk Abdul Rahman Putra Taha. Clearly, the Malaysian youth need to get their sh*t together and actually learn how to spend money. And here’s how a trio of Malaysians think they can help. Just yesterday, I wouldn’t have thought that a Facebook personality trying to base his entire branding on teaching Malaysians good finance would work. I guess I was wrong. 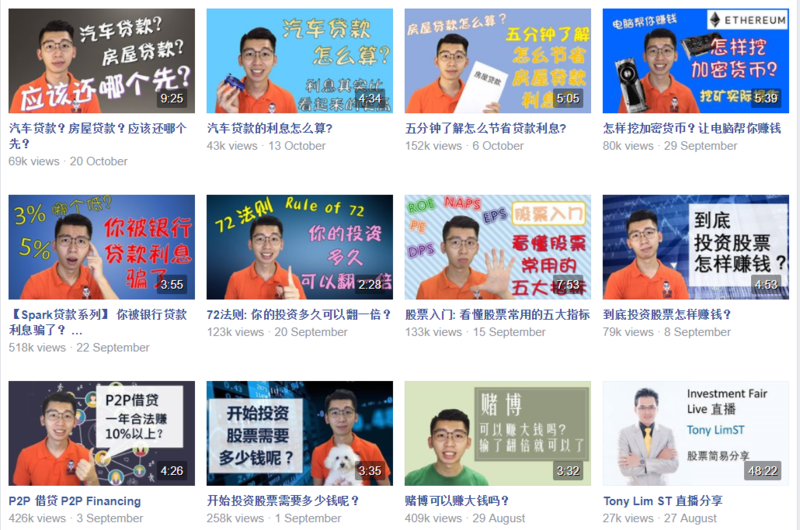 A Chinese language-based personality going by the name of Spark Liang 張開亮 has gained a 120K followership on Facebook, with videos that range from 30K views to 520K views from the masses—all organically. Screenshot of his Facebook page. So the team of three are planning to convert all of these shares and engagement into a financial education platform, using Spark as CMO and the face of their brand. According to a 2015 report, Gen Ys surveyed reported lacking confidence in financial literacy—58% rated themselves as having average financial knowledge. “Despite being the most educated generation to date, Gen Ys are accruing debt at an earlier age and lack understanding when it comes to financial planning,” said the report. So Spark and his team aims to plug that gap—but first, they have to raise funds through equity crowdfunding. Launched on Ata Plus 6 days ago, their campaign has received more than RM700k at the time of writing—mostly from their followers. Screenshot from their funding page. Jumping off the Spark Liang’s page, FinSpark’s content will be geared towards those who may not necessarily be able to afford to contract a financial educator, and can’t purchase expensive guidebooks. Since the launch of the campaign, over 100 investors have pitched to the formation of the FinSpark platform, which is good news for the team; it proves that there are users from their large follower-base who might consider paying for similar services. This hits over 160% of the intended minimum RM445,000 mark, though the team still hopes to hit RM2,000,000 before the approximately 40-day campaign is over. 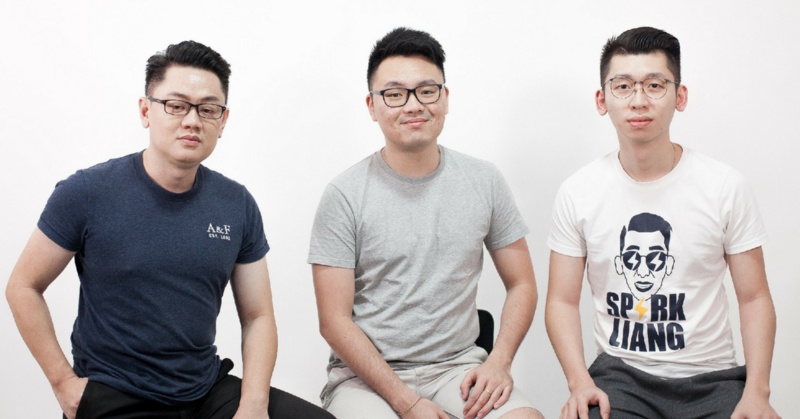 With the launch of the FinSpark platform, the founders hope that they can make financial literacy much more affordable to the young Malaysians. And they’re doing it through weekly beginner-friendly videos that have been ongoing since May this year. With the funding, they’ll first be able to officially launch the FinSpark platform. Then, they plan to release FinSpark videos in other Malaysian languages—all while creating a substantial library of videos and articles. They also plan to introduce an option where paid users can opt to get personalised financial guidance by a team of board-certified financial advisors. And here’s how they plan to monetise the platform. On top of the free videos on Spark’s channel, FinSpark works on a freemium model. Subscribers will have access to their financial education library, including videos and articles. They also plan to update the library constantly with “the latest financial topic or concerns in the region”. “Cost per customer—for production and marketing of content—is estimated at no more than 20% of revenue,” according to their pitch on Ata Plus’ platform. They also plan to co-create content through brand partnerships, on top of the aforementioned financial advisory service. FinSpark states that its 100k followers equates to 3% of the total potential market in Malaysia, all within 6 months. Now whether they can transform this into paying customers will be interesting to observe. For now, they have their sights on a further 70% of their potential market, which it aims to achieve through marketing and the launch of its web portal, and later a mobile application.